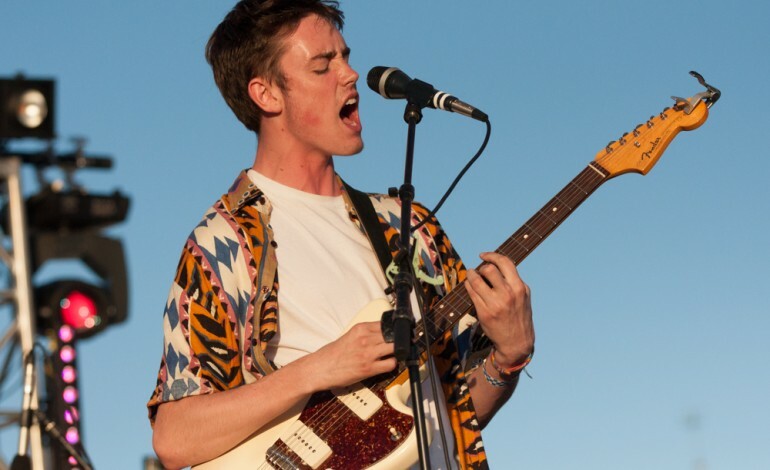 In the midst of working on their sophomore album, the indie pop rockers, Hippo Campus, announced a new fall tour in conjunction with dropping their latest single, “Passenger”. Hailing from St. Paul, the Midwestern four-piece released their debut album, Landmark, in February of 2017. The band has climbed steadily since forming in 2013, making a name for themselves with the release of Landmark, touring alongside bands like Saint Motel, Walk the Moon, and Modest Mouse, and playing major festivals including SXSW, Bonnaroo, and Lollapalooza. Landmark arrived on the tails of a few EPs, boasting catchy rhythms and clever lyrics. It’s the kind of album that lends itself to multiple occasions and moods – from a sunny Sunday drive with the windows down to a solo dance party in your bedroom, speakers loud. Songs like “Buttercup” carry a poppy tune with a punch, while “Monsoon” mellows the album out, the scratchy repeated recording of “It should’ve been me” carrying an almost eerie quality with it. The latest single, “Passenger”, shifts gears, bringing home a layered, atmospheric sound with promises of some curveballs to come in the new record. Hippo Campus shines in their live shows, making it a point to give fans a good time while staying true to their trade. They bring a visceral energy to the stage, electrifying their music in a way that demands to be experienced live. Hippo Campus swings through town with The Districts on their North American tour this fall.